Back to the daily grind. Don’t know about anyone else, but man did that holiday weekend ever fly by. It was really fun though. I love any time that I get extra time with my hubby, and this year was the first year he tried to run the Turkey Trot with me. He only mad it through 3 of the 6.2 miles, but I love that he tried to share a love of mine. Me on the other hand, well, not to brag but… I finished my run at 56 minutes and 43 seconds. Which is a new personal best for me. Almost 9 minute miles the whole way. Not gonna lie, I was pretty happy about that. And then there was this weird plastic thing holding the drumsticks together. For 10 minutes I went back and forth, “Do I leave this on? Do I cut this off?” My first conclusion was, “This is to hold the bird together so I could easily put it in the pan. So now that it’s in the pan, I cut it off. Right?” But then when I actually tried to cut it off, it was really well put on there. Which made trying to get it off really difficult. So I finally decided that it was suppose to stay on. Can anyone answer this for me? Are you suppose to keep it on or take it off? So, that was my Thanksgiving in a nutshell. That and this amazing cheesecake. I know everyone is so sick of gorging, but, desserts are my thing. Scrumptious dinners are soon to be on the way, but to hold you over, here you go. I know I say this a lot, but this cheesecake is a 10!! Love all the textures and layers. 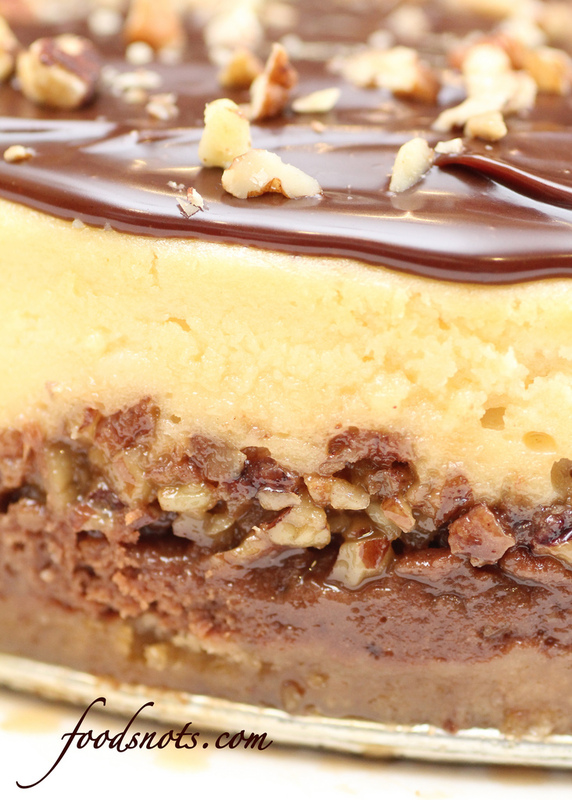 The perfect combination of cheesecake, pecans, caramel, and chocolate. Actually, I wish I had some leftovers to refresh my memory (or to give myself another excuse to have another piece :). Seriously, this is just flat out amazing! Enjoy!! 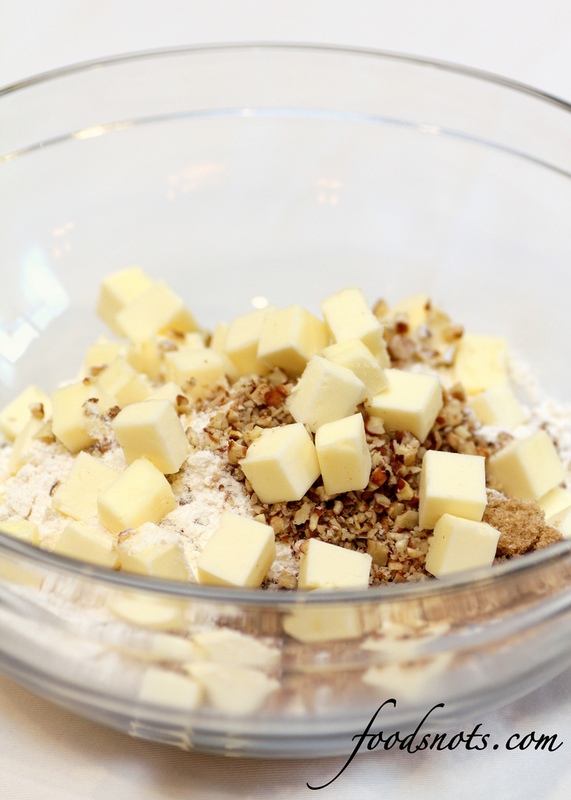 In a small bowl, combine the flour, brown sugar and pecans. Press onto the bottom of prepared pan. Place pan on a baking sheet. Bake at 325 degrees for 12-15 minutes or until set. Cool on a wire rack. In a large bowl, beat cream cheese and sugars until smooth. Beat in 1/4 cup flour, cream and vanilla. Remove 1 cup batter to a small bowl; stir in melted chocolate until blended. Spread over crust. 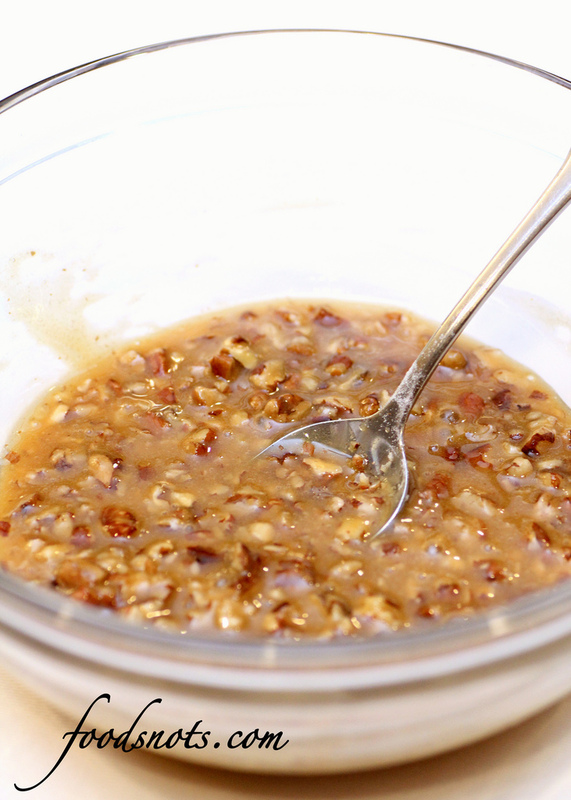 Combine caramel topping and remaining flour; stir in pecans. Drop by tablespoonfuls over chocolate batter. Top with remaining batter. 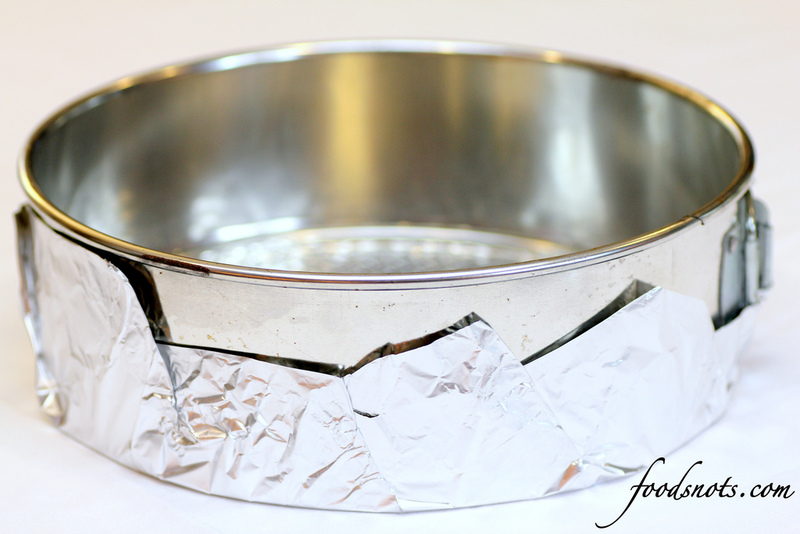 Place springform pan in a large baking pan; add 1 in. of hot water to larger pan. Bake at 325 degrees for 1-1/4 to 1-1/2 hours or until center is just set and top appears dull. Remove springform pan from water bath. Cool on a wire rack for 10 minutes. Carefully run a knife around edge of pan to loosen; cool 1 hour longer. Refrigerate overnight. Place chips in a small bowl. In a small saucepan, bring cream just to a boil. Pour over chips; whisk until smooth. Cool slightly, stirring occasionally. Spread over cheesecake. Sprinkle with chopped pecans. Refrigerate until set. 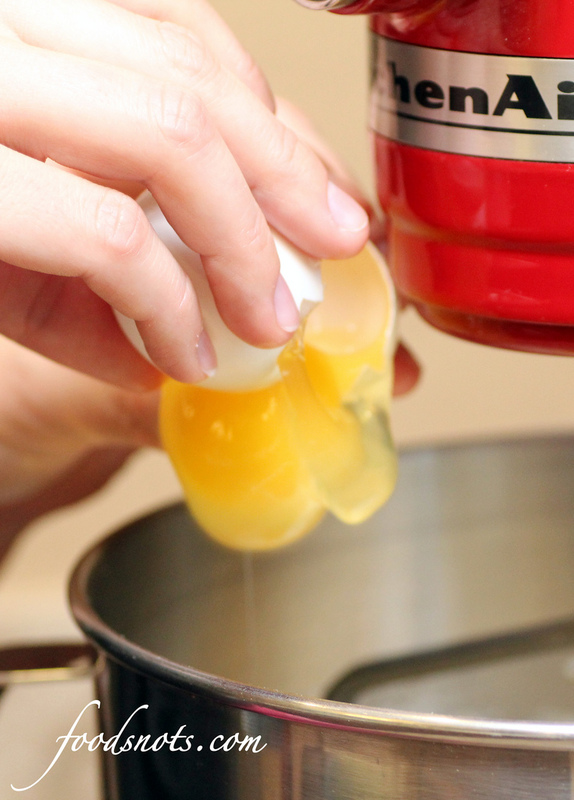 Remove sides of pan. Garnish with pecan halves and additional caramel topping if desired. Recipe from Taste of Home Fall Baking. How did you cut this cheesecake without destroying the rest of the cheesecake? The ganache’ is hard right? Thank you for your question. Use a knife which you pre-heated in boiling water. That will melt the ganache and you cut through easily without destroying or crack.